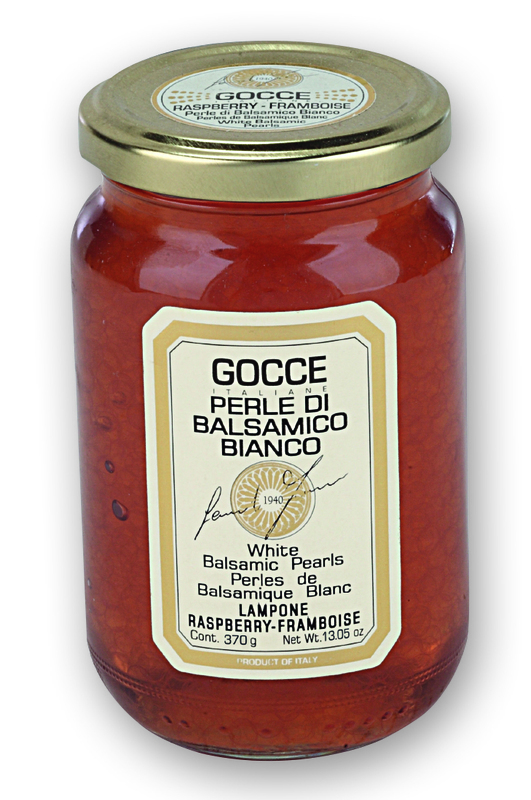 Little drops of delight for eyes and palates, the Balsamic Pearls are a surprising must-have: tasty though healthy to enrich any cold and warm dish. Use them as a finish on any savoury or sweet dishes, just like a regular Balsamic vinegar. Their "Caviar" shape will make a simple salad look like a star and you can also add some "pearls" in your prosecco or Champagne flute (or in your Mojito)!